100% of the proceeds from the sale of this collection support Ocean Conservancy. "Protect Our Oceans" design also in style drop-down menu. 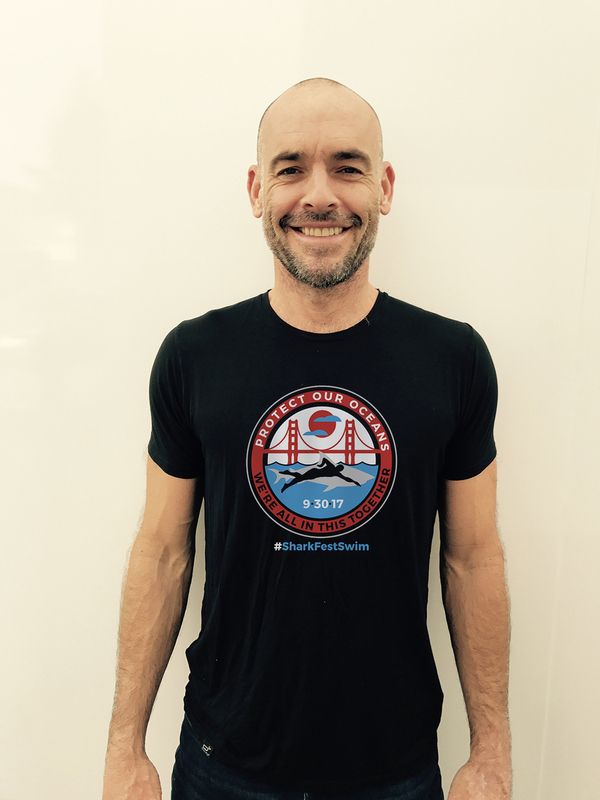 My name is Paul Blackthorne and I'm terrified of sharks and deep ocean waters. A few weeks back my good buddy Mister Basquali called me up TELLING me I was doing the 'Shark Fest Swim' in San Francisco with him. September 30th. South side of the Golden Gate Bridge to the north side of the Golden Gate Bridge. Sharks & cold deep waters. He then told me it's good to face fears and that I could raise awareness for shark preservation and 'ocean stuff'. In the last fifty years we’ve basically surrounded our ocean fish with plastics and pollutants. In fact, scientists warn us that we could end up with a pound of plastic for every two pounds of fish in the ocean if we don’t act soon. As top predators in the ocean, sharks depend on a healthy ocean ecosystem. We're doing this swim to raise awareness for sharks and all the ocean’s creatures. 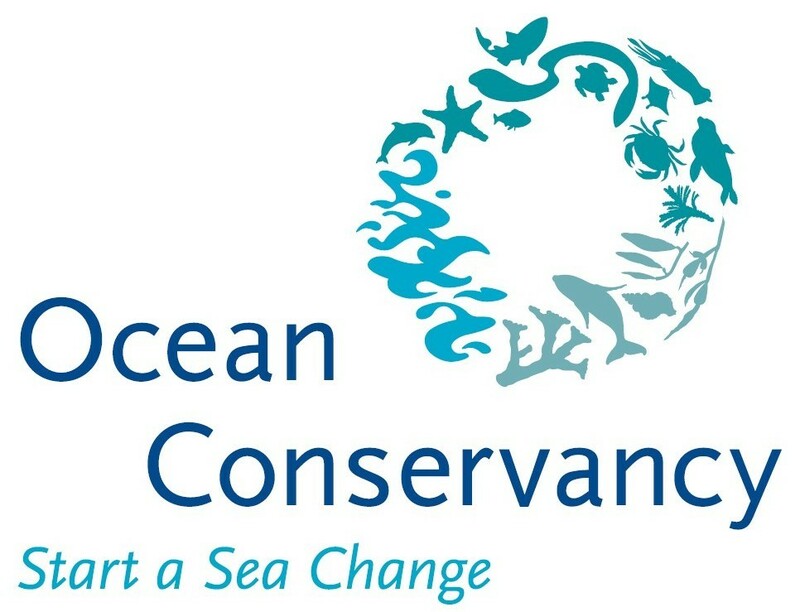 We need to conserve our oceans, not destroy them! So with this in mind myself, Mister Basquali and future brother in law Orpheo McCord, of the esteemed musical outfit Edward Sharpe and the Magnetic Zeros, are swimming through San Francisco's shark infested waters on September 30th. 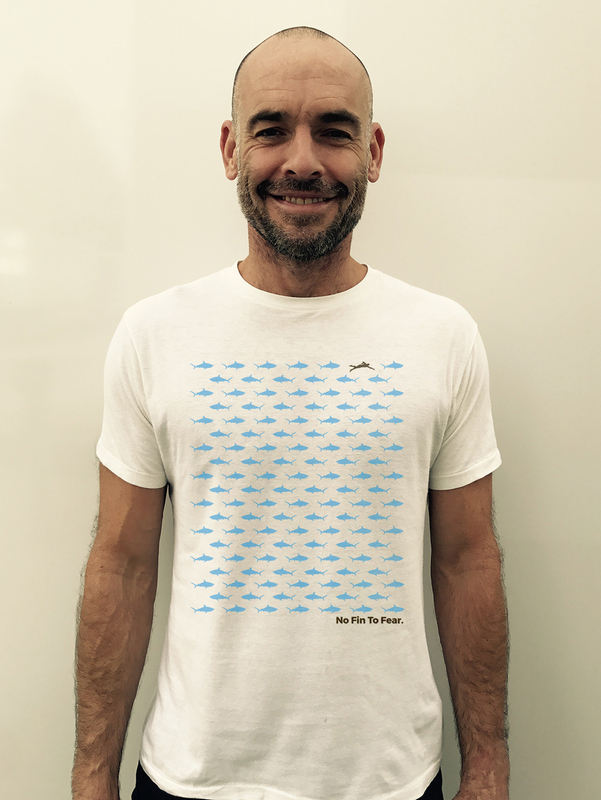 To 'celebrate' this peculiar occasion we're launching the #NoFinToFear and #WereAllinThisTogether T-shirt campaign to help raise money and awareness for our friends at Ocean Conservancy. This year, Ocean Conservancy turned 45—and for 45 years, we’ve been working to protect our ocean from some of the greatest global challenges. Together, we’ve made incredible progress to safeguard America’s fisheries, combat ocean acidification and restore the Gulf of Mexico with the best available science. With your help, we’ve spearheaded efforts to designate and strengthen marine sanctuaries, protected sea turtle habitats and grown the largest marine volunteer effort in the world through our International Coastal Cleanup. Our vision for the ocean is a clean, healthy and thriving ecosystem for wildlife and communities that depend on it. If you share this vision, make a contribution today to help us achieve this reality.